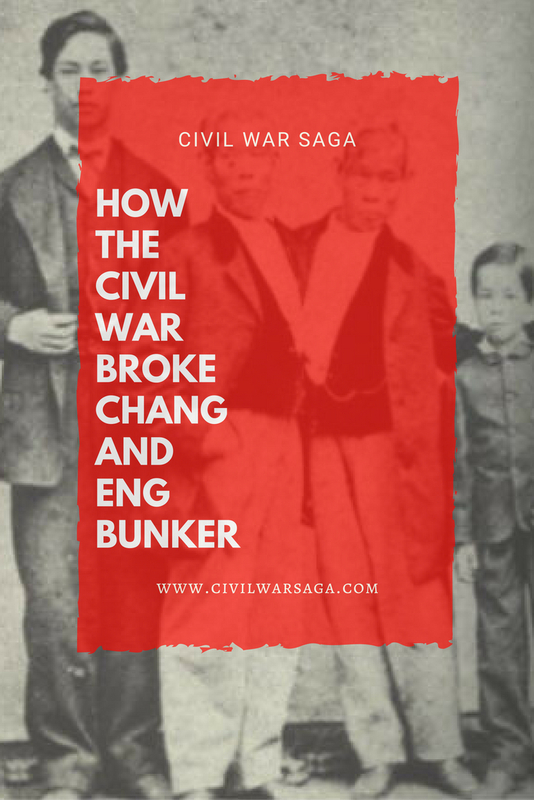 The Civil War had a major effect on the lives of the famous conjoined twins Chang and Eng Bunker. The twins owned a large plantation of about 700 acres and 33 slaves in North Carolina, which they purchased in 1843 with money they made off of their Barnum and Bailey sideshow act in the 1830s. Shortly after they purchased the property in North Carolina, Chang and Eng married and started a large family that would eventually include 21 children. The twins set up two separate households for each family and spent three days a week in one house and three days in the other. 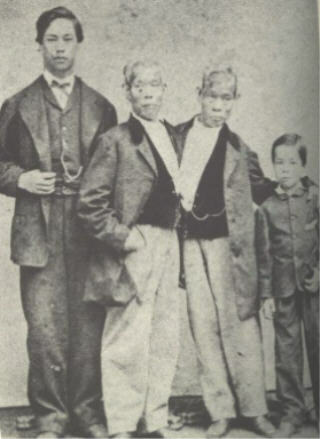 By 1860, their growing families and increasing expenses led Chang and Eng into money problems and forced them to return briefly to show business. In October of 1860, they began a short engagement at P.T. Barnum’s American Museum and then traveled to California with plans to go to Siam to visit their brother in February. Their travel plans changed though when they received news that North Carolina might get involved with the war and they decided to go home instead. With the outbreak of the war, the twin’s financial hardships grew worse. Eng Bunker was drafted into the Union army, but the army declined to enlist Eng when they realized the brothers were conjoined. The war also took a toll on their farming business in the years that followed and hit the twins hard financially. A series of factors caused the twin’s fortune to slowly dwindle away throughout the war. One was the weak economy caused by the ongoing war, which greatly reduced the twin’s income from their farming business. Another factor was the Emancipation Proclamation of 1863, which freed all of the Bunker’s 33 slaves. Yet another factor was the Union raid on Wilkes County in 1865 that destroyed part of their homes. In addition, the twins also lost money on loans they had made when the Confederate currency collapsed. As a result of all the tension and money problems, the two families began fighting, Chang began drinking heavily and Eng developed a gambling problem. In 1870, after war broke out between Prussia and France, Chang and Eng Bunker headed back to the United States. During the journey, Chang suffered a debilitating stroke, possibly a result of his heavy drinking. The stroke left him paralyzed on his right side and required that Eng support him physically for the next three years by propping a crutch under Chang’s arm and lifting his paralyzed leg with a strap that he carried. Chang’s condition never improved and a few years later, in January of 1874, he succumbed to a chronic bronchial infection and Eng followed a few hours later. The bodies were then transported home. Fearing body snatchers, their bodies were kept in a large tin coffin that was soldered shut and stored in the basement of their house for a year before their family buried them in the yard. The twin’s body casts and livers are still on display at the Mutter Museum.